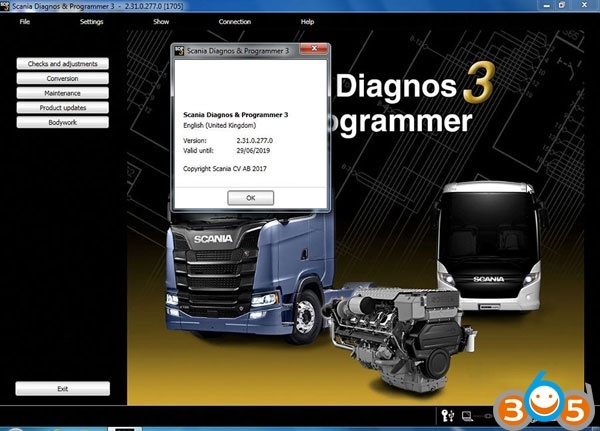 (07/03/2017) new version Scania SDP3 2.31 heavy duty diagnostic software is updated on obdii365.com, tested without any issues on Windows 7/8/10, confirmed to work no issues with diagnostic equipments Scania VCI 2 & Scania VCI 3. 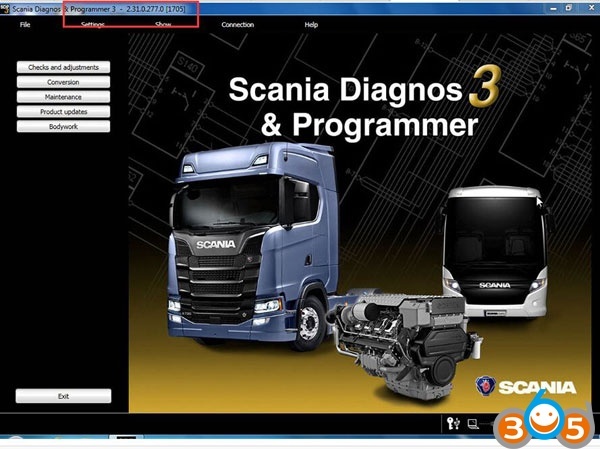 There are many Scania SDP3 download available on the web, but most are cannot be activated yourself; that is, SDP3 software download is free but you need to pay for SDP3 activation. And items personally released are usually are not tested and used without security. Here are SDP3 2.31 download free and SDP3 2.31 crack but tested for you. There is no longer support for Windows 7 32 bit. For more information, see Ti 00-17 01 25. The flow for defect reports in SDP3 has been improved to make it simpler to follow. Instead of a guide in several steps, there is now a simple dialogue box. In the dialogue box you can select if you want to save the defect report locally or if you want to send it via e-mail. To be able to send the defect report via e-mail you must have Microsoft Outlook. You can choose to create a defect report for a specific product individual or to make a general defect report. Note: As from SDP3 2.31, the dialogue box is no longer available for use if you are connected to a job type. The document with instructions for communication errors has been updated. You access the document via the Help menu. Support for resuming an interrupted download of software has been introduced. The new guide Verifying switch modules in the steering wheel checks that switch modules in the steering wheel correspond to the version according the vehicle’s SOPS file. Vehicles with the S8 engine control unit have previously lacked support for Default setting of power take-off adaptation. This has now been rectified. The Spark check guide has been removed for vehicles of the P, G, R and S series with Euro 6 gas engine. As the support in SDP3 has been improved, the guide tool is no longer required. Instead, use the Electrical system view for troubleshooting. After a product update of the transmission management system, the Accelerometer adaptation guide must always be run. It now starts automatically after an update of the control unit. A function guide which shows how the power is transferred in the gearbox for different gears in real time has been added. You can also see how the gear shift forks move and which sleeves are affected. A guide for bleeding control circuit 2 has been implemented. Circuits, I/Os and the functional description of differential locks has been improved. Function guides for activating and deactivating service mode have been implemented. A function guide for checking EST and ESYA has been implemented. A new parameter for the centring function has been implemented.